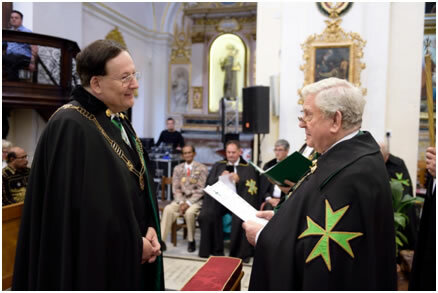 The International Lazarite Congress which was held in Malta in April 2016 saw a healthy delegation from the Grand Priory of Germany travelling to the congress and participating heartily in the solemn investiture held in Rabat, Malta. The Supreme Grand Prior of the Order, H.E. Richard Comyns of Ludston, had the opportunity to bring into the Order a number of postulants hailing from different parts of Germany, with the aid and assistance of the German Grand Prior, the Chevalier Peter Neuen. During the investiture service, a number of promotions within the Grand Priory of Germany were confirmed and undertaken. 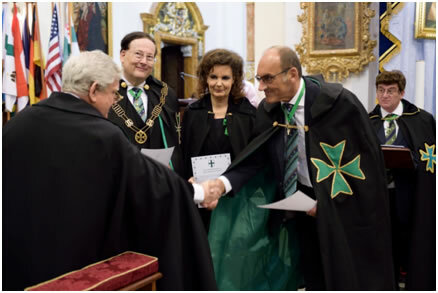 Moreover, the Supreme Grand Prior consecrated a number of new Commanderies within the Grand Priory of Germany in order to ensure the smooth operations within the various different regions of Germany within the Order. The German Grand Priory has, slowly but surely, established itself in various regions within the country and is now in the advanced stages of planning its first investiture which will be held in Germany itself in 2017.